Animal groups have some traditionally weird names. For example, do you know what a shrewdness is? Or what the word is for a group of elk? Here are some of the weirdest names to categorize and name groups of animals. 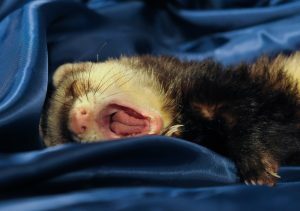 A business refers to a group of ferrets or flies. It’s a little weird that these two “animals” have the same name for a bunch of them. After all, ferrets are mammals and flies are insects. But either way, if you are referring to ferrets or flies, now you know to call them a business. This animal grouping name aptly refers to giraffes. Since giraffes are the tallest mammals around, it really only makes sense to call a bunch of them a tower. And did you know that a giraffes legs alone are taller than many humans? 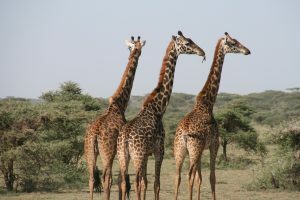 At a towering six feet, it’s clear that giraffes not only have long legs, but that their legs alone are taller than most of us and a lot of other animals for that matter. Tower is a great name for several giraffes. A prickle is the name for a group of porcupines which is not only clever but really does make sense. Touching a porcupine would be nothing if not prickly so to call them a prickle may be a weird name but it certainly fits these “pokey” animals. Maybe because they are so fast, tigers are known as a streak. Adult tigers can run in short bursts up to 30-40 miles per hour so if you saw them running by, there is a chance you could say you didn’t really see the tiger itself running but you just saw an animal streak by. And if there was lots of them running, you could call them a streak. This one is too fun and refers to a group of hippos. Bloating makes everyone think of eating too much, drinking too much, or in general feeling bigger than normal. 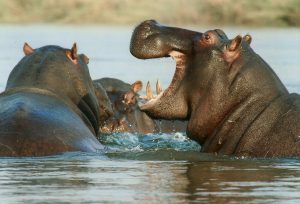 And a hippo has that “too big,” bloated look to them, making a bloat of hippos an accurate name for the animals. And funny. This one isn’t telling of the animal or really funny or clever either. It’s just the name of many otters. So, if you ever see a lots of otters and you want to correctly identify and point them out to someone else, just say, “Look at that romp of otters.” You will be the smartest person around. This is the collective term for a group of donkeys. Donkeys are pretty slow, so maybe someone called them this so that it would make sense to say, “Pick up the pace.” This way the donkeys would know you are talking to them when they hear that they need to pick up the pace. This is cool and interesting. A group of gorillas is known as a band. Plus if you called your band, Gorillas, then you would not only be a “band” group, but you would be a group of Gorillas also known as a band. Apparently there are so many pigs in the world they needed a lot of names to call a bunch of them. 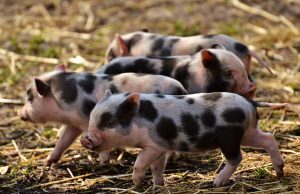 Pigs in a group are known as a drift, a drove, a sounder, a team, and a passel. Frankly none of these are very telling, descriptive, or fun, but if you want to name a group of pigs, any of these terms will do. Stand is the name for lots of flamingos. And really, it works! 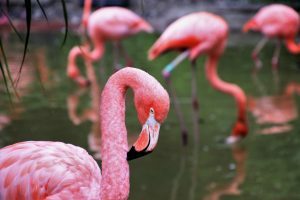 Flamingos are iconic and known for standing on one leg. If you see a whole bunch of flamingos standing around, remember to call them a stand of flamingos. You would have to be really specific if you are talking about these birds because covey describes a group of more than one type of bird. Among the birds that you call covey are quails, ptarmigans, and partridges. Remember to call a covey of birds using their given name so that people know what type of bird you are referring to. At the end of the day, you could call any of these animals a group of (and insert whatever type of animal they are.) But it’s much more fun to know these names and use them. Not only do you look smart, but these group names are fun, funny, and sometimes strangely descriptive.